Garden City police arrested two individuals Thursday afternoon after they allegedly reported a false kidnapping. 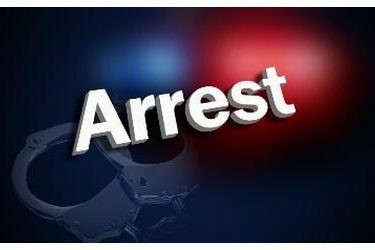 Casey Lynn Corter, 33, Johnson City, and Michael Fink, 32, Garden City, were arrested on allegations of falsely reporting a crime, according to the Garden City Police Department. At about 10:30 a.m. Thursday, police received a call of a possible kidnapping in progress. It was reported by a family member that a 33-year-old woman was being held against her will at an unknown location in Garden City by someone requesting an undisclosed amount of money for the her safe return. The GCPD and the Grant County Sheriff�? ?s Office conducted a joint operation in an attempt to locate the woman. An investigation revealed that Corter, allegedly acting in the role of the victim, was never in any danger and that it was a scheme in an attempt to receive money from the family member. A meeting was set at a predetermined location, and when Fink and Corter arrived, they were taken into custody by police.